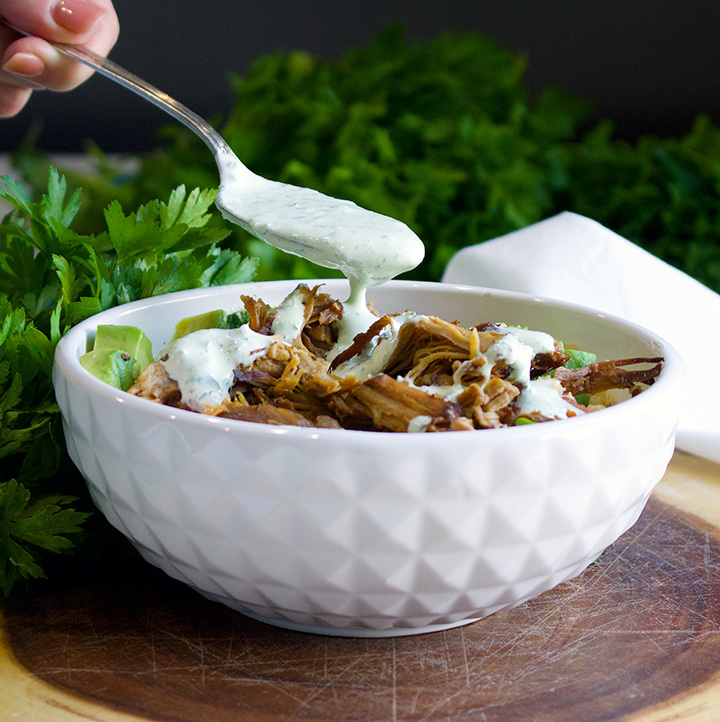 Quinoa Veggie Carnitas Bowls with Jalapeño Cream. Bowls of quinoa are topped with sautéed onions, red bell peppers, and zucchini, diced tomatoes, pork carnitas, avocado slices, and drizzled with jalapeño cream sauce. 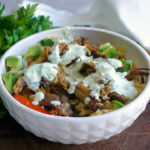 This is one of the best ways to use up leftover carnitas, or any kind of cooked meat or poultry. 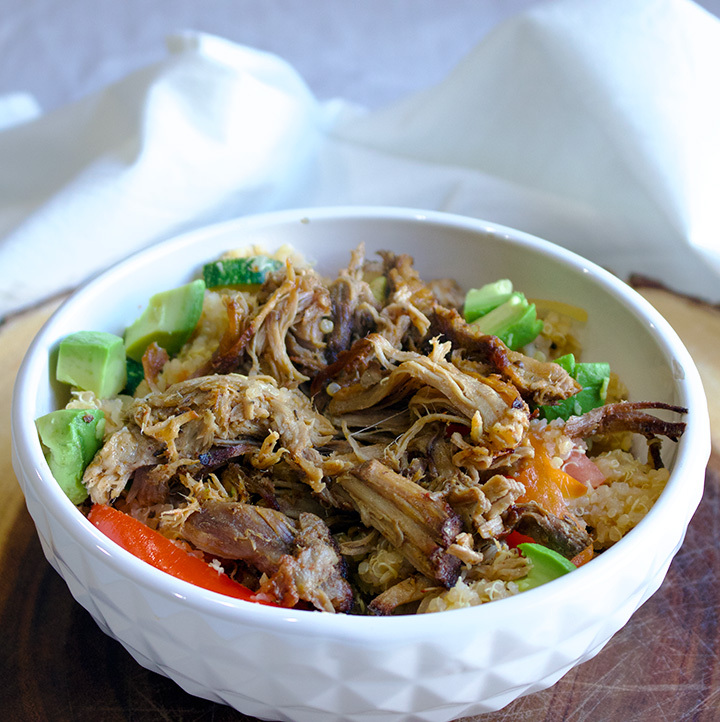 Slow Cooker Pork Carnitas are a staple at my house and one of my favorite recipes on here. One of the best things about the dish is how little effort it takes to make a giant tray of carnitas that are packed with flavor, falling apart tender on the inside, and gorgeously crispy on the outside. The recipe makes a lot of carnitas, and for good reason. 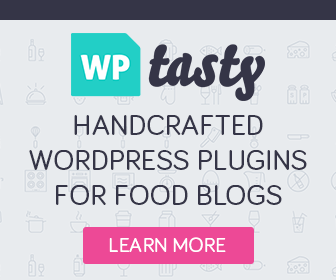 They are fantastic to have on hand – in the refrigerator or in the freezer. If you have carnitas on hand, tacos or nachos are minutes away. Add leftover carnitas to Spanish Potato Soup, make a Taco Salad, splurge on Green Chili Baked Burritos, or load up a Baked Potato. 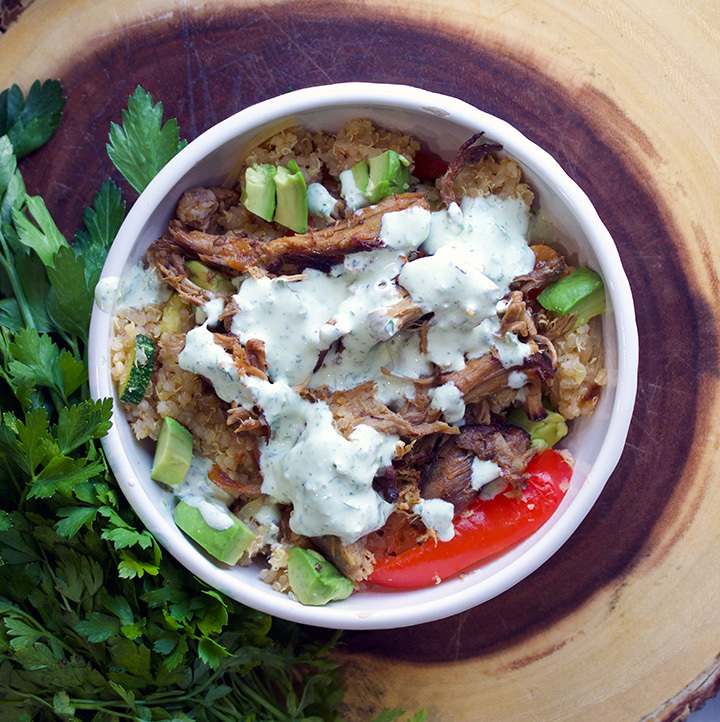 Or, make some Quinoa Veggie Carnitas Bowls. Here’s what you do… Throw all the ingredients for jalapeño cream in the food processor and let it whirl. 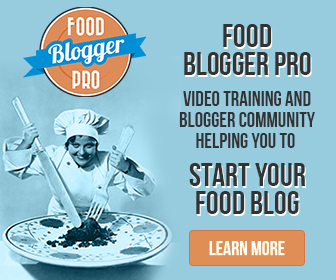 Pour it into a bowl and put it in the refrigerator until you’re ready to eat. Get some Quinoa going on the stovetop. Rice or any other grain will work too. While the quinoa cooks, toss some onions, red bell peppers, and zucchini in a skillet for a quick sauté. Chop up a couple of tomatoes and toss everything together – tomatoes, quinoa, and sautéed veggies with some hot sauce if you like. Heat up some carnitas (or any other kind of cooked meat or poultry) in the microwave while you slice up an avocado. Build your bowls: Quinoa and veggies, avocado, and carnitas. Drizzle with some jalapeño cream and devour. Preferably with a cold beer or cocktail. Add all the jalapeño cream ingredients to the bowl of a food processor and process until smooth. Taste and add more salt, pepper, or lime juice if you like. Pour the jalapeño cream into an airtight container and store in the refrigerator until ready to serve. Rinse quinoa in a fine mesh sieve under running water. Transfer to a medium size sauce pan and add 3 cups or water and about 1/4 tsp salt. Bring to a boil over high heat. Cover, reduce heat to medium low, and simmer until water is absorbed, about 15 to 20 minutes. Remove from heat and leave covered until ready to serve. While the quinoa cooks, heat the olive oil in a large skillet over high heat. Add the onions and bell peppers, sprinkle with a generous amount of salt and pepper, and cook, stirring frequently for about 2 minutes, until the vegetables are crisp tender and black spots are beginning to appear on the bell peppers. Add the diced zucchini, garlic, and a couple more dashes of salt and pepper to the onions and peppers and cook, stirring constantly, 1 minute longer. Pour the mixture into a large bowl. Add the cooked quinoa, diced tomatoes, and hot sauce (if using) to the sautéed veggies and toss gently to combine. Taste and add more salt and pepper if desired. Peel and cut avocado into 1/4 inch slices. Sprinkle with a bit of salt and pepper. To build the bowls, scoop a generous amount of the quinoa veggie mixture into a bowl, top with a few avocado slices, and pork carnitas. Drizzle with jalapeño cream sauce.